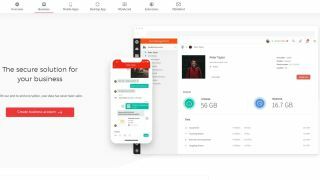 In an effort to better cater to the needs of business users, the cloud storage company MEGA has released a new product to help facilitate secure file storage, file sharing and communication for teams of users. The company's new product, MEGA for Business, allows one user to be elevated to administrator status with the ability to add or remove users in their MEGA team and transfer users or their files even if a user is unavailable or happens to forget their password. Teams will be able to communicate directly and securely with MEGAchat for text messaging and high quality audio and video calls. All of these communications are protected with 'zero-knowledge' user-controlled end-to-end encryption. Cloud storage vs external hard disk drive: which one is better? MEGA for Business features full support for Windows, macOS and Linux and its MEGA desktop app allows for real time synchronization. Account admins will be able to transfer user data to the team admin account for auditing purposes or if a colleague is unavailable. They will also easily be able to disable or reactivate sub-users with no loss of data as well as securely add new users who automatically become contacts with existing users of the MEGA for Business account. MEGA for Business provides unlimited data storage and data transfer for $11 per month per user though a minimum of three users is required. The company recommends its new service for businesses that need to maintain confidential information such as lawyers working the clients, architects or engineers working with large data files, security consultancies or private investigators sharing files with clients or design studios transferring large multimedia files to clients. MEGA for Business is now available and you can learn more by visiting the company's website.